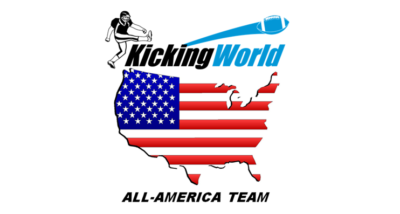 Former Texas Tech snapper Ian Smetona joins forces with Kicking World to offer quality snapping instruction and snapping camps in Southern California. My name is Ian Smetona and I am now working alongside Coach Brent and offer short and long snapping instruction on Sundays at Laguna Hills HS in California. A little about myself; I am born and raised in South Orange County and attended Capistrano Valley Christian High School. I was a starter in both football and basketball and earned All-League and all CIF honors in multiple seasons. My snapping career began the summer leading into my freshman year of High School when my Uncle (who played Tight End and snapped for Cal State Fullerton back when they had a football program) showed me the basics of throwing and snapping before double session week. After I graduated HS in 2001, I played one year at Saddleback Community College where I was the starting long snapper as well a back-up tight end. At the end of my first JUCO season, Texas Tech approached me and offered me a scholarship opportunity for my 3 remaining seasons of eligibility! I graduated from Texas Tech in 2005 and played in front of millions of people on national TV and against some of the top athletes in the country. It was an awesome experience! Without the proper snapping instruction however, none of this would have been made possible. I was fortunate to have coaches at the beginning of my career that understood the art of long snapping. They took the time to explain the basic mechanics and snapping techniques that go missed through simply watching NFL Snappers on TV. There are no tricks or gimmicks to becoming a solid long snapper. A lot of the snapping instructors I see today are coaching players to “perform” at showcase camps, workouts and tryouts. They are not offering any real world solutions to being a useful team contributor on the football field- which is what really matters. You want to help your team win more games and add value to the overall Special Teams core. If all you can do is be a great snapper in gym clothes with no rush or pressure, you are going to be embarrassed your first day in pads! My goal is to help make sure you are ‘ready’ for the next level. My coaching philosophy involves an emphasis on snapping fundamentals & technique, accuracy, consistency and throwing mechanics that ensure you can duplicate the overall ‘process’ time and time again. Everyone has a personal preference regarding form and stance: no-look vs. look, etc. I am not going to tweak your stance preference unless your existing form is inhibiting your accuracy potential. Whether you’re a first time snapper or a top snapping prospect, I will help you! I am available most Sundays at Laguna Hills HS in CA and work alongside Coach Brent’s kicking and punting lessons. This allows both the kickers, punters and snappers to get in live work on top of all the instruction and drills that we do. I’m excited about this tremendous opportunity and look forward to training all you snappers! For any questions and to arrange a snapping lesson with me, check out the Snapping Page to get started.